While we will still need a few more months of patience, we can at the very least say with certainty where some of this summer’s biggest blockbuster will be filmed. 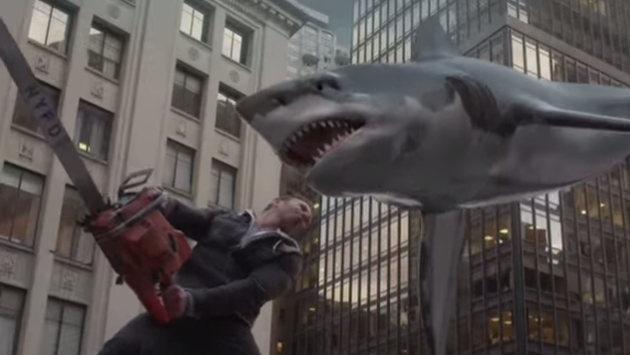 Sharknado 3 is heading to Universal Orlando. We will take a few moments to let you catch your breath, have a seat or light a cigarette. Whatever you need to do to calm down go ahead and do that thing. Now news of this variety is usually heralded by some hero on a horse spreading the word from town to town. However, it’s Garrett Cowan writing for Universal Orlando’s blog who drops the bombshell. Fans of the franchise and theme park can now enjoy that moment when two pop culture icons come together on the television screen this July on Syfy. Cowan did go on to promise the resort would update fans with behind-the-scenes images across all of its social media outlets. Now for the hard part, which is practicing some level of patience for the third installment to hit our DVR devices. At that time, we will get one of the most frightening things in all of cinema: watching Tara Reid act.